Wow, wow, WOW! Oh what a night!!! The AfricaFashionGuide book launch was certainly one of a kind – definitely a night with a difference and after all my efforts, determination and hard work to bring this night to you I truly needed a day’s rest 🙂 This way I could start afresh to prepare all the great ideas we have in store for you from AfricaFashionGuide for 2012. So for those who never made it (shame on you) or didn’t register on time (more shame on you) though you missed out on an awesome evening of – networking, thought-provoking discussion, live music, delicious spicy food, a great unique selection of fashion on sale and most importantly an opportunity to peruse and purchase my book ‘Fashion Africa’ – I have a brief overview for you. There will also be the chance to watch a video of the night and check out the forum discussions, interviews and general overview of the night for yourself on our YouTube channel. Details to follow. I caught up with so many industry people who I have been networking with and in many cases this was the first time we met face to face. Those I met up with on the night included Christian Smith CSR manager of ASOS, Christine of Chichia London, Ola of FAB magazine, Erzumah Ackerson of Bestow Elan, Chile of Africa Batik blog, Jennifer Williams-Baffoe of Willbaforce, Alice Wilby Editor of FutureFrock online magazine, Alex Smith of Considered Style, Pamela Ravasio of Observer Ethical Award winning blog Shiramine, Veronica Crespi of ReWardrobe, the lovely Calum Robertson of the African Waistcoat Company (such a lively man – one of the first to purchase ‘Fashion Africa’ on the night) an old business mentor of mine David Jones who has worked with the likes of Karen Millen of the eponymous label amongst other great names, Linda Lwanga of Zanaa, Lola of OHTV and so much more! It was an awesome night. And a wonderful time was had by many and there were many others I spoke to who I have yet to mention but whose presence on the night was equally appreciated. 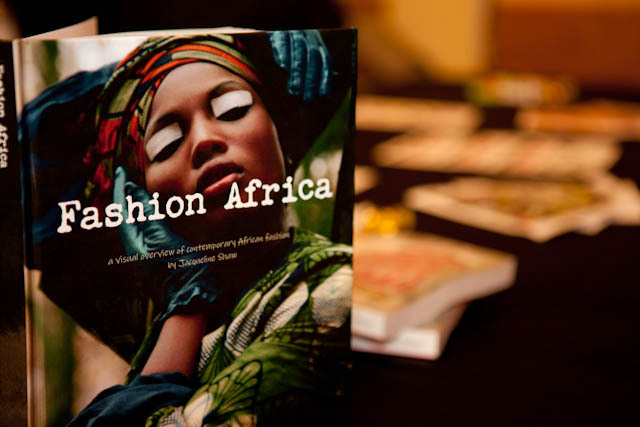 The other purpose was as AfricaFashionGuide aims to do is to connect people in the industry of African Fashion and textiles, to create awareness, discussion and opportunities for collaborations and change. So this was the reason I didn’t have a traditional launch ‘party’ per se BUT to I gathered together those in my vast and growing network of industry leaders and to use this platform of my launch of my book to bring those people together and create discussion on this subject that, by the evidence of the turn out numbers it was obvious that it is a subject so many people are passionate about. Mo Tomaney – Mo is Research Fellow in Ethics, Sustainability& Fair Trade in Fashion & Textiles in the School of Fashion & Textiles at CSM. An active consultant both within the fashion industry and in the sustainable development sector, a specialist in design, markets & supply chain analysis for textile and fashion product; she is conversant in ethical, fair trade & environmental sourcing issues. Widely experienced in market access development, sourcing and strategic management of creative design. Ola Shobowale – Creative Director and prominent Curator in the emerging African Fashion Industry, and integral part of the team at Untold – a platform for emerging designers to showcase their collections during London Fashion Week. Recently he was Creative Director for the Afropolitans Fashion show at the V & A Museum. Matt Peters – sales director of brand Mantis World, a company that began in 2000 based in Tanzania, East Africa, the Mantis World factory regularly uses local raw materials and most relevantly Tanzanian or Ugandan grown cotton, to manufacture their clothing product of mens, womens and childrenswear. They also use organic cotton in production. Also on the night was photography by AO-Photography – Abi Oshodi is a an awesome London based photographer with a versatile style who has worked with many desigenrs in his time and has had a lot of his beautiful work in print. He is available for various events and special occasions, and we also had Frances Akinde of Frankie Does Photography an equally talented photographer I have worked with on my own fashion product such as my graduate collection as noted on the first pages in the book. Chris Appiah supplied the food for the evening. He is a British born, up and coming chef of Caribbean & African heritage. His dedication for quality cooking and tasty food led him to accomplish a certificate in Food and Hygiene. His cooking is fusion African-Caribbean food and he caters for events such as Weddings, Christening, and other occasions. You can contact him via email freelancechef@yahoo.co.uk. There was also an opportunity to purchase fashion product from the following companies who displayed their product too. Such as Yoru Batik who displayed their fashionable hareem pants and jewellery, Jezreel Designs who recently showcased their gorgeous leather bags on the catwalk at Africa Fashion Week London, also there was Proud to be African clothing with their graphic tees and hoodies, Awamu whose beautiful childrens’ clothing amongst other product, supports orphans in Uganda, and also there was Sweet Designs Studio who displayed beautiful cards. So I must send much thanks for all those who helped above to make it such a successful events as well as Top Model of Colour 2010 winner Nana Afua Antwi, who was our guest for the night. I cannot forget the fabulous AFG Team who were such a great support in the build up and on the night and especially to Jay Kamara of (inmarketingltd – contact her at jay@inmarketingltd.com) who worked on all the marketing, press, organisation. A pure superstar! And we must mention the lovely, knowledgable and engaging Eliza Anyangwe who hosted our panels and helped the discourse to be as in depth as it was. Much round of applause was heard and such deep interest in the panel discussion was highlighted to me as I went around talking to people. As well as those asking about the date of the next one! 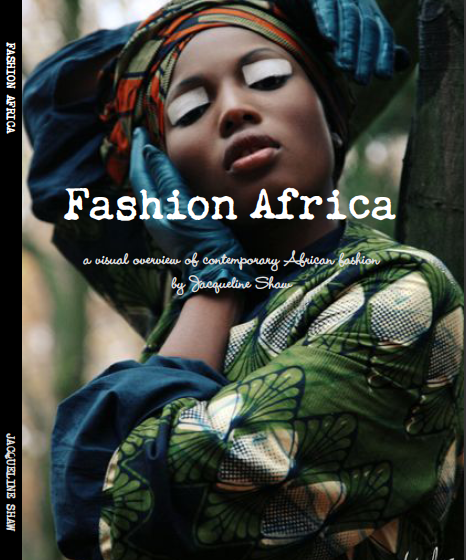 All I can say of now is that this is just the tip of the iceberg in what I initially envisioned for Africa Fashion Guide. We aim to promote and support the full supply chain of the African fashion and textiles industry with an ethical perspective. This is what we are about and what sets us apart in the industry. We have BIG things in store for you such as our first media partnership and workshop at the Hub of Africa Fashion Week in Kenya and Ethiopia in Dec 2012. So I do therefore encourage you to sign up to our email subscription and mailing list and be kept up to date on developments.